Sarah Joice became Clinical Director of PEAK Physiotherapy Limited in November 2005. All of the physiotherapists here at PEAK Physiotherapy are personally recruited and carefully selected based upon their knowledge, experience and personal attributes. Sarah graduated from Leeds Metropolitan University in 1998 with a First Class Honours degree in Physiotherapy. After qualifying, she worked within the NHS at Leeds General Infirmary, specialising in musculoskeletal disorders with a particular interest in dance injuries. Sarah has developed a renowned, Specialist Physiotherapy Service for dancers within the Yorkshire region. More than 35 years of practical dance experience (to RAD Solo Seal standard) has enabled her to combine her love of dance with her physiotherapy career. She specialises in all manner of dance-related conditions, working with all ages and levels from recreational dancers to dance Scholars and Company Dancers. She has provided a screening service for musculoskeletal disorders at dance auditions previously involving the Yorkshire Ballet Scholarship Centre in York, and Northern School of Contemporary Dance in Leeds. Previous clients have included the Phoenix Dance Theatre (Leeds), and full-time dance students from regional schools, such as Hammond (Chester), The Northern School of Contemporary Dance (Leeds), Elmhurst (Birmingham), Tring Park (Hertfordshire) and Northern Ballet School (Manchester). Sarah also works with young dancers on the Associate and Graduate programmes at Northern Ballet Theatre (Leeds) and regularly treats professional performers when touring to The Grand Theatre, including cast members from Ghost, Phantom of the Opera, Dirty Rotten Scoundrels, Dance til Dawn, Barnum, Last Tango, The Wedding Singer, Evita, Mamma Mia, Dreamboats and Petticoats, Cabaret, Calendar Girls and Tango Moderno. Sarah is also listed on the Dance UK Dance Practitioner Register. Sarah became Clinical Director at PEAK Physiotherapy Limited, Yorkshire Neuro Physiotherapy and Yorkshire Children’s Physiotherapy in 2005 and combines her clinical caseload with business management and development. In her spare time, Sarah still enjoys all forms of dancing, and is an active member of local theatre company Brassneck. She also enjoys walking, travelling to far off lands and trips to the theatre. Kate graduated from Bradford University in 1998 with a Second Class Honours Degree in Physiotherapy. Having spent over ten years within the NHS, specialising in musculoskeletal (MSK) disorders, Kate has an in-depth understanding of medical and neurological conditions, and is therefore confident when treating clients with pre-existing and chronic problems. Kate joined PEAK in January 2009 where she works full-time as a Specialist MSK Physiotherapist. Post-graduate courses have included manual therapy, McKenzie techniques, kinetic control/muscle imbalance and the management of chronic pain conditions. Kate is also one of our qualified ante/post-natal therapists, dealing with musculoskeletal problems arising from pregnancy and labour. In 2016, Kate completed her acupuncture training and she is really enjoying this addition to her clinical practice, getting great results with her clients. Kate is a keen runner who completed the London Marathon in 2009, and as such has a special interest in sports/running-related injuries. Outside of work, when she isn't pounding the streets in her running shoes, Kate loves to spend time with her family, and she tells us that she is an avid member of a book club – though we recently found out that this involves more eating cake and drinking tea than discussing the contents of a book! Ishita (Isha) graduated from MS University in India in 2002, with a First Class Honours degree in Physiotherapy. She has since specialised in musculoskeletal physiotherapy, and has worked in a variety of clinical settings in the private, charity, and national health sectors in India, before moving to the UK in 2004. Whilst in the UK, she has had the opportunity to work in both the NHS and private sectors, furthering her experience and adapting to work within the English healthcare system. She initially worked at the North Warwickshire Trust as a Senior Musculoskeletal Physiotherapist and then relocated to the Yorkshire area, where she worked for the Airedale NHS Trust, before moving into private practice. Isha has more than 15 years specialist experience in the musculoskeletal field, and has developed a special interest in treating shoulder and neck conditions, attending a number of post-graduate courses to enhance her skills in this area. Outside of work, she loves walking, cooking, and baking cakes and cookies with her kids. Isha says if it's not her three lovely kids keeping her busy, then it is the work she does with the local church kid’s group, but she enjoys and considers both a privilege. Stella graduated as a Physiotherapist from Hochschule Fresenius in Germany in 2011. During her time at University, she completed two Polestar Pilates courses and her Dissertation research focused on whether pelvic floor dysfunction can be effectively treated with Pilates. After graduating, Stella worked as a Physiotherapist in Germany until 2014 where she specialised in manual therapy and oedema treatment (manual lymphatic drainage). Stella then relocated to the UK, where she commenced an MSc in Sports Therapy in September 2014 at Leeds Beckett University, shortly after moving to Leeds. She graduated with a distinction in September 2015. This programme expanded her knowledge of the treatment of sports injuries and rehabilitation, and she offers evidence-based and holistic approaches to the assessment and treatment of all musculoskeletal disorders. Not content to rest on her laurels for long, Stella completed further exams in April 2016 in Germany. This completed an additional qualification as a Manual Therapist, which has further developed her practical skills. A main focus of the course was the link between visceral (organ) problems and musculoskeletal symptoms, which she feels has enhanced her approach to assessment and treatment. She also completed a course in November 2016 specialising in Ante and Post-Natal Pilates, which further supports her work with PGP (pelvic girdle pain) and pregnancy-related issues. Outside of work, Stella enjoys yoga, baking and travelling. She loves being outdoors and has spent many happy holidays in a campervan! Jeni graduated from Bradford University in 2001 with a Second Class Honours degree in Physiotherapy. She had previously completed a degree in Physiology from Newcastle University. Jeni worked for almost 10 years in the NHS at Leeds General Infirmary and Dewsbury District Hospital, specialising in musculoskeletal disorders with specific interests in Women’s Health and the management of chronic pain. Jeni has worked in private practice since 2010, further consolidating her musculoskeletal experience. She has completed a number of post-graduate courses over the years, including her acupuncture training through the AACP, a treatment tool she finds very useful with a variety of clients. She is a great believer in holistic treatment and developing a treatment plan which is specific to each client, including manual therapy, acupuncture, exercise prescription and self-management advice. Jeni has also previously worked closely with podiatrists, developing an expertise in lower limb alignment and biomechanical issues. Another Mum to join the team, Jeni has 3 children who keep her very busy with activities! She still manages to find time for regular running and Pilates, and also enjoys European travel, camping and walking. Jeni joined the PEAK team in February 2018 and currently works from our Bradford and Otley clinics. Dominic graduated from the University of Hertfordshire in 2013, with a First Class Honours Degree in Physiotherapy. After graduating, he started his career within the NHS in the West Hertfordshire NHS Trust at Watford General Hospital, where he initially gained experience across a variety of clinical areas before specialising into the field of Musculoskeletal Physiotherapy. Dominic moved into a Specialist Musculoskeletal Physiotherapy post, working in several areas including rheumatology, orthopaedics and musculoskeletal out-patients, and treating a variety of patients from post-surgical through to acute and complex presentations. Within this time frame, he was also involved in leading hydrotherapy clinics, and spinal, shoulder and knee rehabilitation exercise classes. Dominic subsequently transitioned into the private sector, where he has been able to treat a wider range of clients; specifically working with sporting athletes including England Football Team Youth Players, Junior Commonwealth Athletes across a variety of sports (including Karate, Taekwondo and Judo), in addition to more recent rehabilitation of Semi-Professional Triple Jumpers, Sprinters and Tri-athletes representing Great Britain. Dominic has completed several post-graduate courses including pain management, sports taping including K-taping, and sport-specific and running assessment. He is also one of our physio team that is fully qualified in acupuncture and is a member of the AACP (Acupuncture Association of Chartered Physiotherapists). Outside of work, Dominic enjoys his time playing tennis for Cawood Tennis Club in the Yorkshire Men’s League. He also plays football, enjoys mountain-biking and is planning to begin training for triathlons in the near future. Dominic joined the PEAK Physiotherapy team in September 2018 and will primarily be working between our Leeds and Garforth clinics. Ana graduated from the University of Nottingham in 2016, with a First Class Honours Degree in Physiotherapy. During her three years at University, she also gained valuable experience as a Carer in the Community, working with vulnerable adults in the North Yorkshire area. Ana has worked for the past two years within the NHS, at Harrogate District Hospital Foundation Trust. She has been fortunate to be able to specialise in musculoskeletal disorders for the majority of this period, with a particular interest in the management of shoulder injuries. Ana maintains her NHS role in the busy out-patient department, working alongside Clinical Specialists in this field. As well as managing her caseload of patients, she also runs hydrotherapy sessions and the spinal and shoulder rehabilitation classes. Alongside regular in-service training within the NHS, Ana has completed several post-graduate musculoskeletal courses, and has further developed her skills by completing her Pilates Matwork Level 1 training through the APPI during summer 2018. Outside of her working life, Ana enjoys going the gym, running and looking after her dog Wiggo! She also takes an interest in art and is taking up climbing as an additional hobby. Ana joined the team at PEAK Physiotherapy in April 2018 and works from our Otley and Garforth clinics. After qualifying as a Physiotherapist from Sheffield Hallam University in 2008, Ben completed his junior rotations within the NHS before relocating to Yorkshire to take up a Senior Musculoskeletal Physiotherapist post within the South Tees NHS Hospital Foundation Trust. Post-graduate courses have included sports trauma management, biomechanics of the lower limb, patellofemoral pain rehabilitation, and applied pharmacology in physiotherapy. Ben has also completed the lower limb and spine module with the Society of Orthopaedic Medicine and his acupuncture qualification at MSc level. In 2018, Ben completed his PhD in Musculoskeletal Medicine from University of Leeds, having secured a prestigious National Institute for Health Research (NIHR) grant in 2013. He has a number of publications in high impact medical journals, and has presented at numerous international conferences on lower limb sports injuries. In conjunction with his academic roles, Ben previously worked as a part-time Academy Physio for Ipswich FC, and was the England Touch Rugby Physio between 2012-2015, supporting the squad at two European championships. Outside of work, Ben is married with one child, and can often be found trying to tire out his cocker spaniel with long walks! He is also currently a brown belt in Wado Ryu karate. Ben joined the PEAK team in June 2018 and works at our Leeds clinic. Laura graduated from Manchester Metropolitan University in 2016, with a 2.1 Degree in Physiotherapy. During her three years at University, Laura worked in many different departments as part of her student placements, gaining an interest in out-patient physiotherapy early on in her career. Since graduating, she has worked for the NHS at the Leeds Teaching Hospitals Trust, and has gained experience across several clinical rotations, including orthopaedics, musculoskeletal out-patients, elderly care and neurology/stroke wards. Laura has also worked as part of the spinal team, predominantly treating patients following spinal surgery and with longstanding back pain. Laura has completed several post-graduate courses including the Bobath Introductory Course which allowed her to further improve her handling skills. She has also gained an ITEC Level 3 Diploma in Sports Massage and has volunteered her skills at the London Marathon and a number of other sporting events. Laura is a keen runner herself, having completed 3 marathons and several triathlons. She enjoys going running in the countryside with her dog Dexter, as well as going to the gym, reading and baking. She also loves travelling and, whilst at University, travelled to Sri Lanka to volunteer in a children's orphanage. Laura joined the PEAK team in September 2018 and works from our Otley clinic. Kay graduated from the Nottingham School of Physiotherapy in 1987 with a Graduate Diploma in Physiotherapy, and soon discovered a passion for the specialist field of neurology and for treating children. Initially she worked in special care baby units and on acute children’s wards in the UK and in Australia, but then discovered children’s community physiotherapy and has worked in this area since 1992. This has involved working in schools, nurseries, children’s own homes and child development centres in London, South Shields and twice in Leeds. She worked for 18 years for the Leeds Community Healthcare Trust as a Senior Physiotherapist and then as a Clinical Specialist Physiotherapist in Paediatrics, until being made redundant in 2014. Her work concentrated on treating pre-school children with long term neurological disabilities and on developing a multidisciplinary postural care pathway for children and young adults with more severe problems. She has done a lot of further study into the area of postural care, but also in hydrotherapy and rebound therapy. Kay has been lucky enough to complete the full Paediatric Bobath Course and the Advanced Early Intervention Bobath Course at the London Bobath Centre, which has given her a great foundation in the assessment and treatment of children with Cerebral Palsy and similar conditions. She is also a member of the Association of Paediatric Chartered Physiotherapists (APCP). In 2014 she started a Master’s degree in Veterinary Physiotherapy, and so now also provides physiotherapy for animals as well as continuing to work with children and young adults as an independent Physiotherapist. She lives in the Skipton area with her husband, two teenage children and dog. In her spare time she enjoys dog training and getting out into our beautiful countryside for walks (and scones)! Paige graduated from the University of Dayton, Ohio, United States of America in 2012 with a Bachelor’s Degree in Education and Allied Health. She continued her education at Elon University in Elon, North Carolina where she received her Doctorate in Physical Therapy in 2015. Paige began her career as a full-time Physical Therapist at Texas Children’s Hospital in Houston, Texas where she gained extensive experience in the evaluation and treatment of children with orthopaedic injuries, acute and chronic neuro-muscular impairments, genetic disorders, developmental delay, cardiovascular and respiratory disorders. Her rotations included paediatric out-patient and in-patient rehabilitation. During this time, Paige also served as the Lead Therapist for the Lung Transplants Programme. At Texas Children’s Hospital, Paige was a member of the Acute Out-patient Rehabilitation Team, responsible for providing intensive physical therapy care to children presenting with acute and sub-acute medical conditions. She is passionate about continuing to provide intensive, goal-centred physiotherapy focused on maximizing each child’s functional independence when navigating home, school, and within the community. Paige has taken post-graduate courses in neuro-development technique for the assessment and treatment of individuals with Cerebral Palsy and other allied neurological conditions. Paige has also completed post-graduate courses in the treatment and management of torticollis and Traumatic Brain Injury. Paige moved to Leeds and joined Yorkshire Children’s Physiotherapy in September 2018. She will split her time between our various clinic locations but is also able to accommodate domiciliary and community appointments. In her free time, she enjoys going on hikes and exploring new cities. Penny graduated from Sheffield City Polytechnic in 1990 with a Graduate Diploma in Physiotherapy. She specialised into the field of paediatric physiotherapy in 1993 and has since worked both within the NHS (as a Superintendent Paediatric Physiotherapist) and privately, treating children and young adults with a range of disabilities. She is a qualified Paediatric Bobath therapist (achieved 2001) and a member of the Association of Paediatric Chartered Physiotherapists (APCP). She is also a Specialist Moving and Handling Adviser, achieving NBE’s Manual Handling Advanced Member status in 2009. Penny currently presents at National and International Conferences on moving and handling children with neuro-disabilities. She has had a number of articles published on the subject in the journal Column, the moving and handling publication of the National Back Exchange (NBE), SEN magazine and Education for Everybody. Penny works with the team at Yorkshire Children’s Physiotherapy, providing bespoke moving and handling training packages for families, designed to meet the individual needs of the clients within their own homes. She can also provide comprehensive risk assessment handling plans to reflect the needs of the client and carers, as well as bespoke study days for multi-disciplinary professionals about paediatric manual handling issues and challenging behaviour. She has an in-depth wealth of knowledge of moving and handling equipment and adaptations which enables her to meet the needs of the clients and to ensure their safety and that of their carers. Penny also looks at how such equipment can be used to facilitate and support the child’s therapy programmes, in order to promote as much independence as possible. In her spare time she enjoys running and pottering in her greenhouse. Victoria graduated from York St John’s University in 2008 with a BSc (Hons) in Physiotherapy. Following a number of years working in the NHS gaining experience within different physiotherapy disciplines, she specialised in Neurology. In 2013, she took on the role of sole physiotherapy provider for a Specialist Unit, providing individually tailored treatments and rehabilitation programmes for a range of neurological condition including stroke, multiple sclerosis and Parkinson’s, but primarily Traumatic Head Injury. This experience has strengthened her passion for neurological rehabilitation and she is an advocate and firm believer in maintaining and optimising an individual’s function. Post-graduate training has included the Introductory Bobath course (modules 1, 2 and 3) and a variety of equipment and postural management training programmes. She has also undertaken acupuncture training in 2018 which is a useful addition to her existing clinical repertiore. Victoria has a diverse, eclectic outlook when it comes to her treatment approach, and is able to modify her practice to suit individuals, regardless of their condition or disability. Her understanding and accumulated knowledge also allows her to be adaptable and apply her knowledge to other areas of physiotherapy including Elderly Care, gait re-education and general postural/mobility problems. She currently works for the NHS on a part-time basis providing specialised postural management prescription and advice. This also runs alongside her work with the Motor Neurone Association and Headway Brain Injury Association, Second Chance. When she is not working, Victoria enjoys spending time with family and friends, and in particular enjoys long walks with her four-legged friend. She professes to enjoy DIY but in fairness will admit to regretting the ideas at a later date! Rebecca graduated from York St John University in 2012 with a BSc (Hons) in Physiotherapy. In the years since qualifying, Rebecca has gained significant experience across a wide variety of different clinical areas within the NHS, specialising in Stroke and Neurological Rehabilitation. Rebecca has worked within four NHS Trusts in London before relocating back up North in January 2017, where she is continuing to work in the NHS in a specialist physiotherapy role. Rebecca has a passion for Neurology and her experience covers a wide range of neurological conditions including: Stroke, Multiple Sclerosis, Parkinson’s disease and Traumatic Brain Injury. Rebecca is a passionate and innovative therapist who is committed to providing the best possible physiotherapy practice for her clients. Furthermore, she is able to adapt her treatment approach to any clinical setting. Rebecca has completed post graduate training in a variety of areas including the introductory Bobath courses (modules 1, 2 and 3), Specialist Functional Walking, Primitive Reflex courses, and attending the ACPIN INPA International Conference. Outside of work Rebecca enjoys running, HIIT training, and socialising with friends and family. She joined the team at Yorkshire Neuro Physiotherapy in June 2017 and works with her clients in both a clinic setting and on a domiciliary basis. Anna graduated from Sheffield Hallam University in 2014 with a BSc (Hons) degree in Physiotherapy. In the years since qualifying, Anna has gained significant experience across a variety of different clinical departments within the NHS and specifically within Neurology and Stroke Physiotherapy. Anna continues to work in a Senior NHS role as a Falls Prevention Practitioner, alongside her private work with our team. Always ready to expand her knowledge, Anna has undertaken post-graduate training relevant to her area of practice, including literature reviews on fractured femurs in neurological conditions, dementia training, safeguarding children, and training on regional spinal injuries physiotherapy management. Anna has also regularly attended the Naidex Disability Living Conference and the Yorkshire Back Exchange regional meeting and study days. 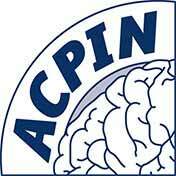 She is a member of APCIN (the Association of Chartered Physiotherapists Interested in Neurology) and is also qualified as a Manual Handling Link Worker. In 2014 Anna worked overseas, completing a placement at Mahidol University and Hospital in Thailand. Whilst there, she completed some research into the expectations of therapy and where physiotherapy services sit within healthcare. Outside of work, Anna used to play Rugby Union to a high level. Anna also enjoys running, baking novelty cakes and long walks with her naughty dog Poppy. She joined the team at Yorkshire Neuro Physiotherapy in September 2017 and works with her clients in both a clinic setting and on a domiciliary basis. 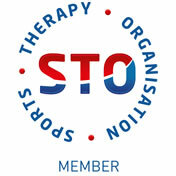 Fiona has over 20 years’ clinical experience in neuro-physiotherapy. She trained at Addenbrooke’s School of Physiotherapy in Cambridge, and has worked in Wiltshire, Berkshire and Hampshire for much of her career. Fiona’s experience includes periods of in-patient treatment at the Wessex Regional Spinal Unit in Salisbury, neurological out-patient treatment at St Mark’s Hospital in Maidenhead, and a period between 1997 and 2005 where she was the lead physiotherapist on the Community Neurological Rehabilitation Team (CNRT) for Southampton City and the New Forest NHS Trust. During this time Fiona also completed a Foundation Bobath course in the treatment of adult hemiplegia (stroke) and provided specialist Case Management services for a private organization across the South and Southwest of England. After working within the NHS for 19 years, Fiona moved to the Far East in 2006, where she provided physiotherapy treatments to charity organisations in Thailand, primarily helping children with complex disabilities. Fiona then returned to the UK and rejoined the UK Physiotherapy profession. She became a member of the Yorkshire ACPIN committee in 2016 and started working in the Yorkshire region in 2017. Fiona enjoys keeping up to date in the latest research and evidence-based practice. Recently she has studied a new approach to Parkinson’s treatment called PD Warrior, completed an Advanced Bobath Course on Optimizing Upper Limb Recovery at Leeds Beckett University, and a Vestibular Rehabilitation programme, all as part of her commitment to Continuing Professional Development. Fiona joined the team at Yorkshire Neuro Physiotherapy in 2018 and works predominantly in a domiciliary capacity, seeing clients across the Yorkshire region. Rachael qualified in 1995 with a BSc (Hons) in Physiotherapy from the University of Bradford. She has more than 20 years of NHS experience across a wide range of clinical areas, specialising initially in Elderly Care before returning to her original passion of Neuro-Physiotherapy. She currently works part-time for the NHS as Clinical Lead Physiotherapist on a specialist unit providing rehabilitation for a range of complex neurological conditions including Stroke, neuropathies, Parkinson’s disease, Multiple Sclerosis, Guillain Barre Syndrome, and Traumatic Brain Injury. Post-graduate training has included 3 introductory Bobath modules, the Basic Bobath course and Vestibular Rehabilitation courses. She enjoys incorporating a wide range of treatment modalities into her rehab programmes in order to get the best outcomes for her clients. Outside of work, Rachael lives with her daughter, loves yoga and Pilates, spending time with friends and is currently trying to train her very lively cocker spaniel puppy Ralph. Rachael joined the YNP team in May 2018 and works predominantly on a mobile basis, seeing clients across the Yorkshire region. Kareena graduated from the University of Birmingham in 2012 with a First Class BSc (Hons) in Physiotherapy. In the years since qualifying, Kareena has gained significant experience working across a number of different clinical areas within the NHS in Leicestershire. She has specialised in the field of Neurology and Stroke Physiotherapy where she is most passionate about making a difference to the quality of life of her clients. Kareena applies an eclectic approach to her treatments and is always supportive of her clients. She has worked in several Specialist Units and within domiciliary settings, treating individuals with Brain Injuries, Stroke, Parkinson's Disease, Multiple Sclerosis and Guillain-Barre Syndrome. She is an adaptable and flexible therapist who also has experience treating clients who are at risk of falls and those with general mobility problems. Kareena dedicates time to learning outside of her work and has completed a Masters’ module in Neurological Rehabilitation and several post-graduate courses in the Bobath treatment approach. Outside of work, Kareena enjoys cooking, creating her own recipes and hosting as well as a newfound interest in organising and tidying spaces of her own and others! She also enjoys keeping fit by running for various charities and is working on living and promoting a more sustainable way of living. Kareena joined the team at Yorkshire Neuro Physiotherapy in 2019 and works in both clinic and domiciliary settings across the Yorkshire region. Acutely interested in human biology and kinesiology, and the balance between physical and mental health, Kat set the wheels in motion for a career change in 2016. Knowing that she would like to remain working directly with people and promote the benefits of an active lifestyle and time spent outdoors, she qualified as a Sports Massage Therapist in Spring 2018. She then returned to University in September 2018, to complete a 3-year BSc (Hons) degree in Physiotherapy. Kat achieved a Merit in her ITEC Level 3 Diploma in Sports Massage Therapy, which covered anatomy and physiology, manual therapy and injury rehabilitation, allowing her to assess and perform treatment for individual injuries. Injury rehabilitation, whether from sporting activity or lifestyle, really interests Kat and she seeks to promote injury prevention and healthy, active lifestyles wherever possible. Kat is extremely passionate about the outdoors and is an active kayaker, canoeist, climber and hill walker (for which her dog Kali is always in tow!). She hopes to train for her Mountain Leader Award in 2019. Kat complements the vigorous outdoor lifestyle by practising Pilates and yoga and is planning to complete her Pilates qualifications in the future. Any free time is spent reading or cooking. Kat joined the PEAK Sports Massage team in July 2018 and is based at our clinic in Leeds city centre. She also works within a community setting as part of our specialist Neuro and Paediatric teams, as a Physiotherapy Assistant when a second pair of hands is required.